PIPO Tablet announced a three-proof tablet. At present, the model number of this product is set to X4, the official price is 2499 yuan / 64G. PIPO X4 uses intel Z8350 processor, factory pre-installed windows10 operating system, and has 4GB of memory and 64GB EMMC solid state drive. Developed for harsh environments and high-strength industrial applications, this product offers outstanding resistance to dropproof, wateproofr and dustproof. The PIPO X4 is structurally protected against the screen and is sealed with rubber at the edge. The machine is designed with a detachable battery. The square area on the back is the battery compartment. Use a screwdriver to unscrew the screws and remove the battery. The size of the battery is huge, the specification is 3.7V 12000mah, and the capacity is huge, which is 3 to 4 times that of the ordinary mobile phone battery. 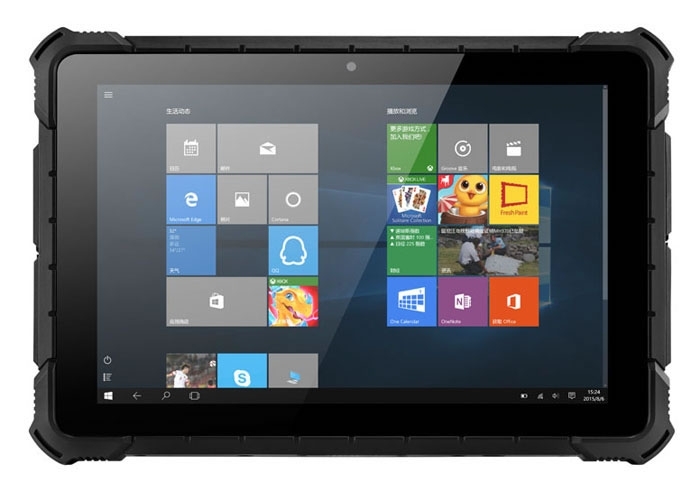 PIPO has always been the main TV Box, and its products are very popular, such as PiPO X10 Pro, PiPO X10, PiPO X8 Pro, PiPO X9S, PiPO X12, I believe that PIPO will shine in the field of rugged tablet.